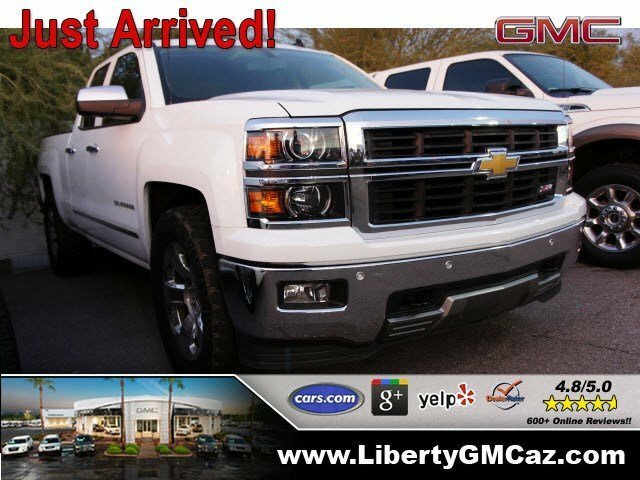 LTZ 2WD 4dr Crew Cab 5.8 ft. SB, Pickup Truck, Take a look at this custom one of one 2008 Chevrolet Silverado 1500! 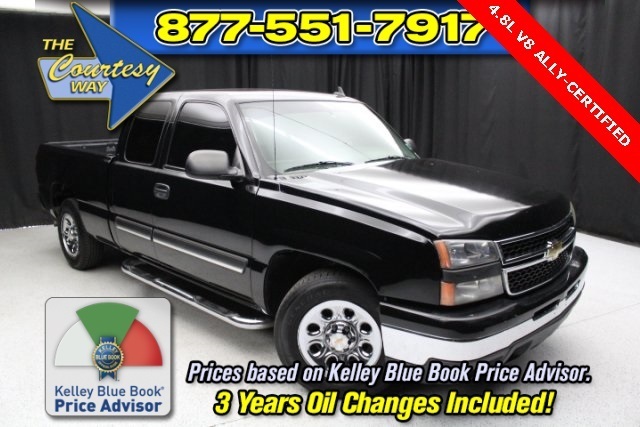 This Silverado has a 5.3L V8 and an automatic transmission. The exterior has a custom hot rod theme paint job, premium wheels, and custom front headlights and rear tail lights. The interior features premium leather seats, power driver seat, and a unique shifter. This truck also has bed liner, AM/FM radio, and cruise control. 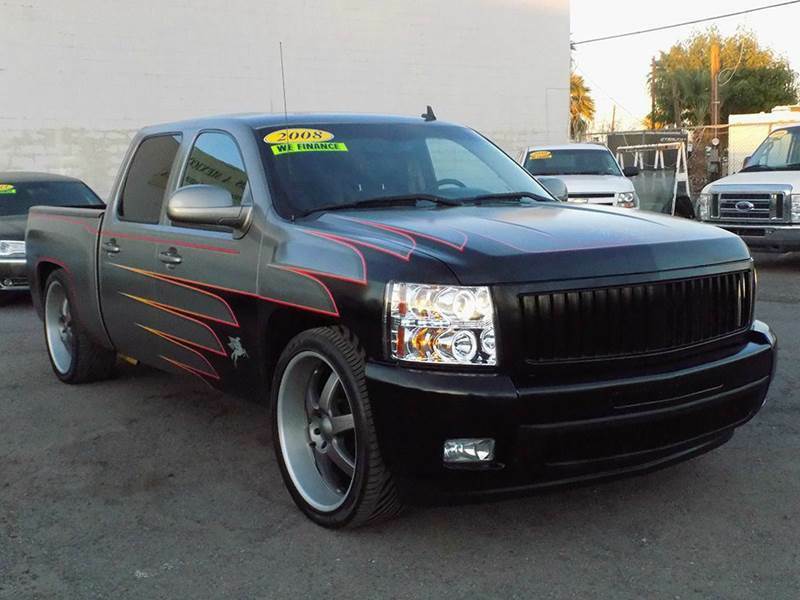 This Silverado is one of a kind and looks like no other! FINANCING AVAILABLE. All prices are subject to tax, title, reg and doc fees. Down Payments start as low as $595 O.A.C Warranty with every vehicle purchased. See Dealer for details. 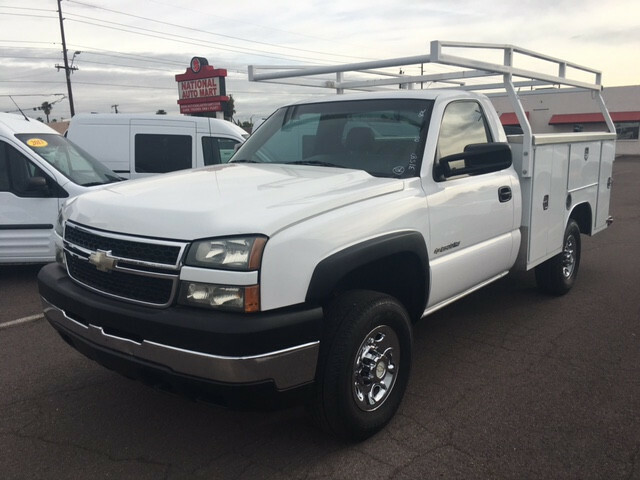 .discountautosales.co (602)353-1200 2640 W. Adams Phoenix, AZ 85009 **Internet Advertise price reflects $2000 off coupon discount with full payment at the time of delivery. Original None-promotional price to be disclosed at the Dealership (Payment methods accepted: cash, cashier checks, outside financing checks.) Not valid with any other coupons, specials, discount offers or with any trade ins. (See dealer for details. )** ***MILES MAY VARY DUE TO TEST DRIVES AND INSPECTIONS*** CALL TODAY TO SCHEDULE YOUR TEST DRIVE!!! 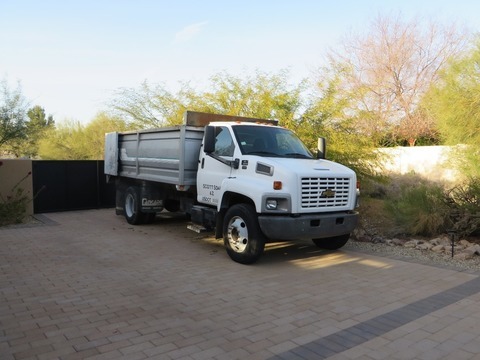 Work Truck 4x2 4dr Double Cab 6.5 ft. SB, Pickup Truck, In need of a 4 door pickup truck? 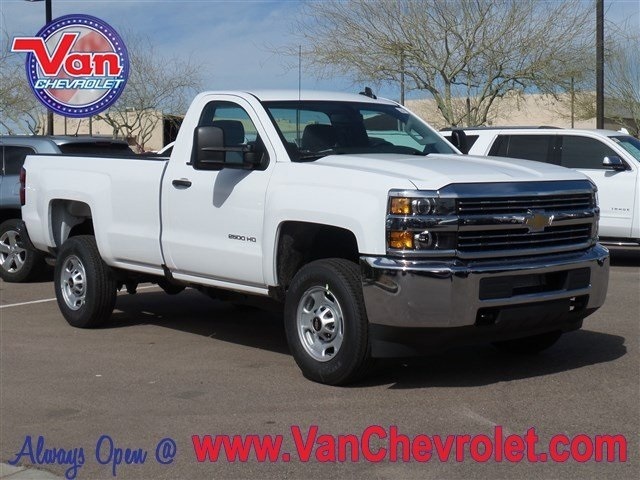 If so this 2015 Chevrolet Silverado 1500 is the vehicle for you! 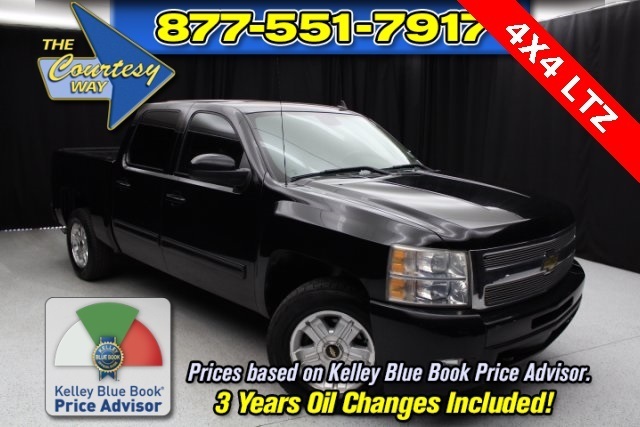 This Silverado has a 4.3L V6 and an automatic transmission. The exterior has silver paint, chrome wheel covers, and privacy glass. The interior has cloth seats, AM/FM radio, and cold A/C. It alos has power windows, keyless entry, and cruise control. This Chevy rides smooth and looks amazing! FINANCING AVAILABLE. All prices are subject to tax, title, reg and doc fees. Down Payments start as low as $595 O.A.C Warranty with every vehicle purchased. See Dealer for details. 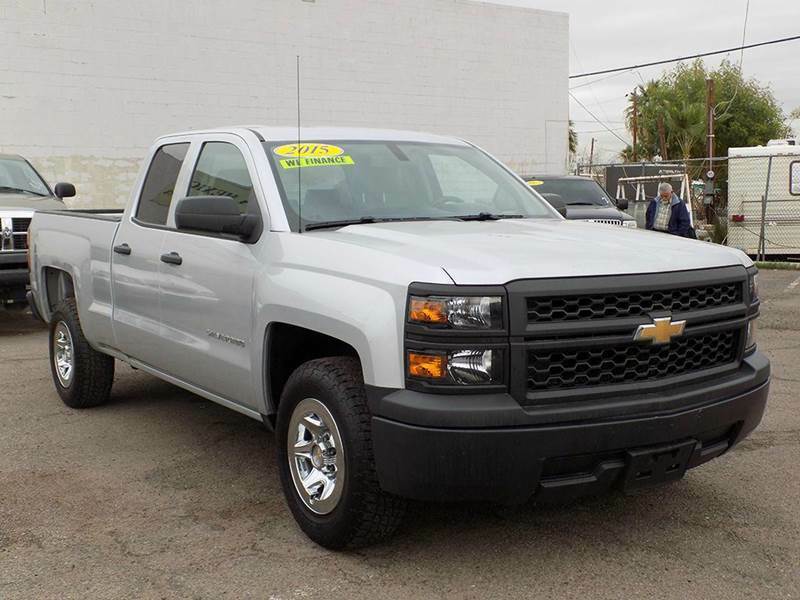 .discountautosales.co (602)353-1200 2640 W. Adams Phoenix, AZ 85009 **Internet Advertise price reflects $2000 off coupon discount with full payment at the time of delivery. Original None-promotional price to be disclosed at the Dealership (Payment methods accepted: cash, cashier checks, outside financing checks.) Not valid with any other coupons, specials, discount offers or with any trade ins. (See dealer for details. )** ***MILES MAY VARY DUE TO TEST DRIVES AND INSPECTIONS*** CALL TODAY TO SCHEDULE YOUR TEST DRIVE!!! 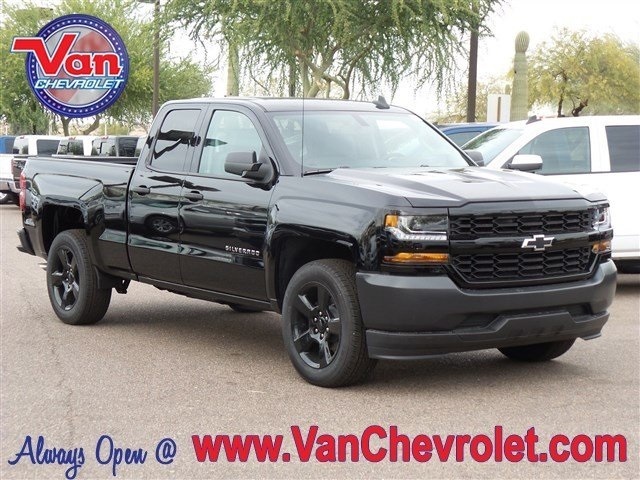 Silverado 1500, , 2017 Chevrolet Silverado 1500 6-Speed Automatic Electronic with Overdrive, jet black dark ash cloth., Tachometer,Air Conditioning,Traction control,Fully automatic headlights,Tilt steering wheel,Speed-sensing steering,Brake assist,150 Amp Alternator,Trailering Package,40/20/40 Front Split Bench Seat,OnStar w/4G LTE,Power windows,Front anti-roll bar,Overhead airbag,Voltmeter,Rear reading lights,Driver Information Center,Trip computer,Front wheel independent suspension,Low tire pressure warning,Interior Driver Assist Handle (LPO),6 Speaker Audio System,Heavy Duty Suspension,Bluetooth® For Phone,Front reading lights,Overhead console,Passenger vanity mirror,Cloth Seat Trim,Chrome Grille Surround,Radio data system,Manual Tilt Wheel Steering Column,Speed control,Power steering,Dual front impact airbags,3.23 Rear Axle Ratio,Graphite-Colored Rubberized-Vinyl Floor Covering,ABS brakes,Passenger door bin,Dual front side impact airbags,OnStar 3 Months Guidance Plan,Rear step bumper,Electronic Stability Control,Heavy-Duty Rear Locking Differential,6 Speakers,Delay-off headlights,AM/FM radio,Variably intermittent wipers,3-Passenger Full-Width Folding Rear Bench Seat,Occupant sensing airbag,3.42 Rear Axle Ratio,High-Intensity Discharge Headlights,Front Center Armrest w/Storage,Radio: AM/FM w/7' Diagonal Color Touch Screen,Driver door bin,Power Windows w/Driver Express Up,4-Wheel Disc Brakes 2017 Chevrolet Silverado 1500 6-Speed Automatic Electronic with Overdrive, jet black dark ash cloth. 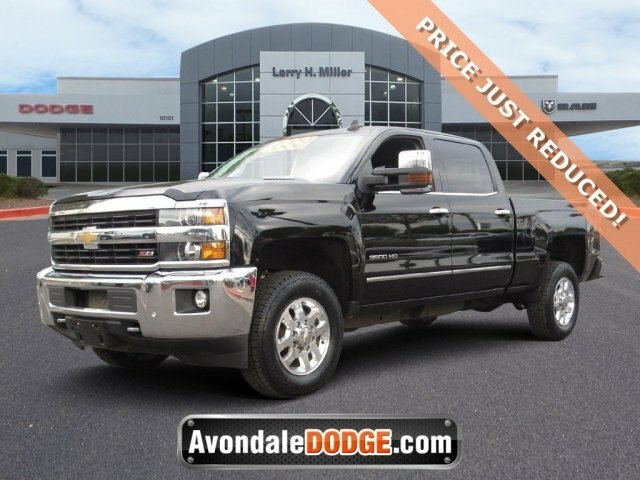 Silverado 2500HD Work Truck, Work Truck, 2017 Chevrolet Silverado 2500HD Work Truck 6-Speed Automatic HD Electronic with Overdrive, jet black dark ash cloth., Tachometer,Air Conditioning,Traction control,Fully automatic headlights,Tilt steering wheel,Radio: AM/FM Stereo w/Chevrolet MyLink,Bumpers: chrome,Brake assist,Speed control,Power steering,Dual front impact airbags,6-Speaker Audio System,Passenger door bin,ABS brakes,Dual front side impact airbags,Front anti-roll bar,Manual driver lumbar support,Rear step bumper,Electronic Stability Control,Voltmeter,Overhead airbag,Front 40/20/40 Reclining Split-Bench Seat,Black High-Visibility Vertical Outside Mirrors,Trip computer,Delay-off headlights,AM/FM radio,Variably intermittent wipers,Front wheel independent suspension,4.10 Rear Axle Ratio,Low tire pressure warning,OnStar 4G LTE Wi-Fi Hotspot,Occupant sensing airbag,OnStar 3 Month Guidance Plan,4 Speakers,Front Center Armrest w/Storage,Front reading lights,Passenger vanity mirror,Overhead console,Driver door bin,Standard Suspension Package,Preferred Equipment Group 1WT,Cloth Seat Trim,4-Wheel Disc Brakes,Steering Wheel,Radio: AM/FM Stereo w/4.2' Diagonal Color Display 2017 Chevrolet Silverado 2500HD Work Truck 6-Speed Automatic HD Electronic with Overdrive, jet black dark ash cloth. 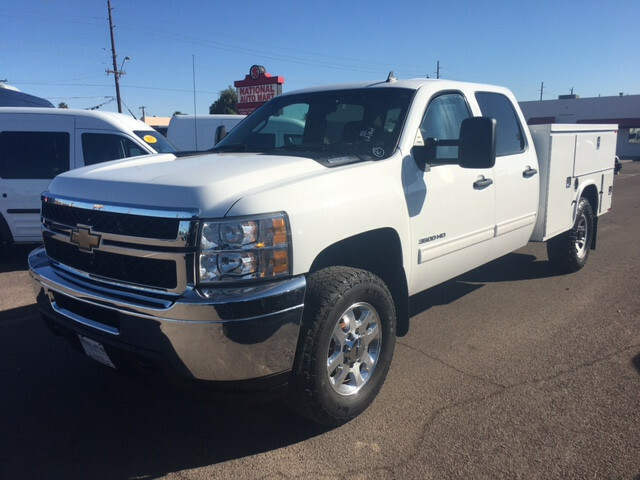 Silverado 3500HD, Utility Truck, LT Crew Cab 4WD, -National Auto Mart has been the leader in Arizona since 1980 providing used One Owner Off Lease Commercial Trucks Cargo Vans Box Trucks and Flat Beds. We carry a large selection of Off Lease Sedans Mini-Vans and small SUV's. 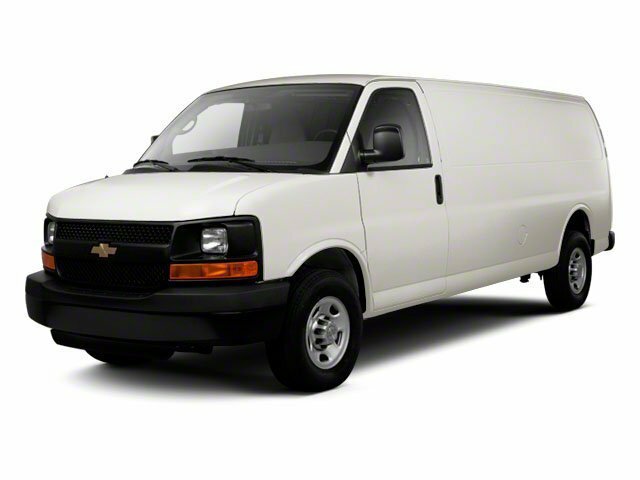 Our inventory is changing daily so call us if you don't see the vehicle you need. We are a local family owned business here supporting both small and large companies. We have been told we have the best FREE popcorn in town so please come by for a bag. We are located a mile West of I-17 just North of I-10 on the South side of McDowell Rd. We have many affiliations with local companies and organizations and are a proud supporter of local community. *Buyer Protection included on many vehicles*Extended Warranties available on most vehicles *Financing available-call for details We are open Mon-Fri 8-5 and Saturday by appointment only. Please give us a call today...you will be happy with the Selection Low Prices and "NO HASSLE" buying experience. Are you looking to TRADE a vehicle please let us give you a trade value. All prices are subject to change. Vehicles advertised are subject to prior sale. 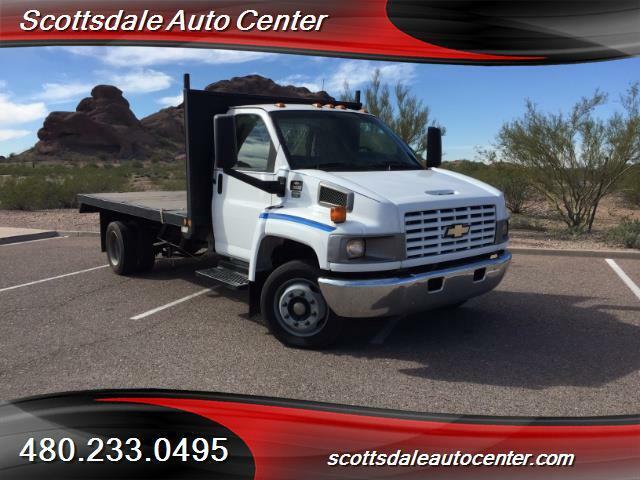 Silverado 2500HD, Utility Truck, LS 2WD, -National Auto Mart has been the leader in Arizona since 1980 providing used One Owner Off Lease Commercial Trucks Cargo Vans Box Trucks and Flat Beds. 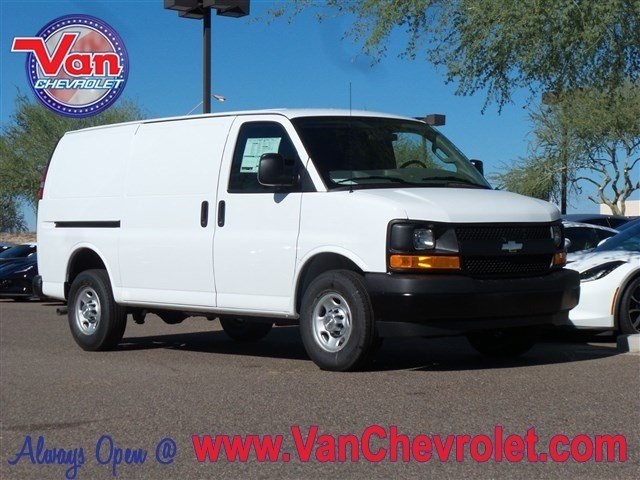 We carry a large selection of Off Lease Sedans Mini-Vans and small SUV's. 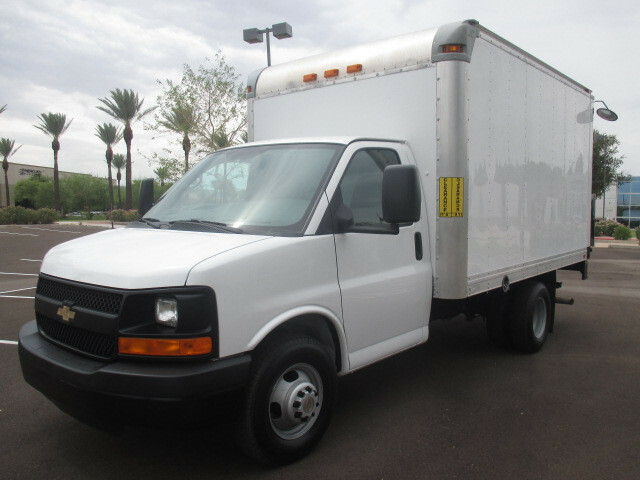 Our inventory is changing daily so call us if you don't see the vehicle you need. We are a local family owned business here supporting both small and large companies. We have been told we have the best FREE popcorn in town so please come by for a bag. We are located a mile West of I-17 just North of I-10 on the South side of McDowell Rd. We have many affiliations with local companies and organizations and are a proud supporter of local community. *Buyer Protection included on many vehicles*Extended Warranties available on most vehicles *Financing available-call for details We are open Mon-Fri 8-5 and Saturday by appointment only. Please give us a call today...you will be happy with the Selection Low Prices and "NO HASSLE" buying experience. Are you looking to TRADE a vehicle please let us give you a trade value. All prices are subject to change. Vehicles advertised are subject to prior sale.